Moistening via spray or immersion method. Maximum roll width 57″ (1,447.8 mm). Maximum roll diameter 60″ (1,524 mm). 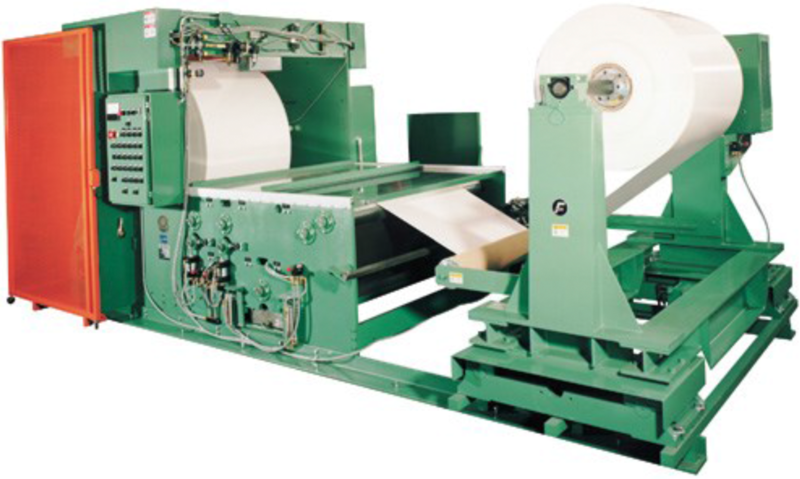 Utilizes hydraulic web guide system, pneumatic brake on the unwind shaft and an air cylinder hold down system to ensure consistently wound rolls. Electronically controlled variable speed drive system. Hydraulic web guide control system. Pneumatic brake on unwind shaft. Stainless Steel water bath pans. Moisture applied via immersion or spray method. Air hold down system on surface rewind insures tightly wound rolls.